Computer Science and Electrical Engineering programs draw the best and brightest professors to colleges and universities across the world. In 2013, stand-out educators continue to emerge in a specialized area of computer science that requires gifted researchers: Computer Security. As technology changes and information becomes more and more portable, security concerns arise as quickly as new smartphone apps. The solution is to continually update the pool of information used to keep computers and data secure. For their efforts in this area, the following professors are recognized as some of the top Computer Security educators of the year. 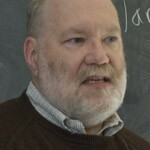 Ronald Rivest – As a professor of electrical engineering and computer science at MIT, Ronald L. Rivest participates in several noted academic groups associated with computer security. He is a member of the school’s CSAIL, Computer Science and Artificial Intelligence Laboratory, and the founder of the organization’s Cryptology and Information Security Group. Professor Rivest’s computer security interests have crossed over into the private sector, where he is responsible for helping found VeriSign, RSA Data Security and other computer security interests. In 2012 Dr. Rivest received the Computer Security Hall of Fame Award for his contributions to the field. Corey D. Schou – Dr. Schou is a highly regarded computer security specialist at Idaho State University, where he holds titles of University Professor of Infomatics, Professor of Information Systems, and Associate Dean of the College of Business. Dr. Schou has been recognized extensively for his contributions to the areas of computer security, including and educator of the year nod from the Federal Information Systems Security Educators Association. Corey Schou is currently the director of the National Information Assurance Training and Education Center, as well as the Simplot Decision Support Center. His books, articles and presentations focus on computer security, privacy and ethics among other related topics. Keith Ross – The Polytechnic Institute of NYU is home to Professor Keith Ross, who teaches computer science courses at the school. Dr. Ross also serves as Department Head for the programs in the Computer Science and Engineering Department at the college. The scope of his expertise is wide, including past work in privacy and data-mining, as well as general computer and systems security. Dr. Ross received his PhD from the University of Michigan, and is a current fellow in several prestigious industry organizations, including the ACM and IEEE. He has received several best paper recognitions for his research. Tadayoshi Kohno – Dr., Kohno, known as Yoshi to friends and associates is a specialist in certain areas of computer science and engineering. Security and privacy of information and computers is an area that Yoshi has worked in extensively during his tenure as associate professor in the University of Washington Department of Computer Science and Engineering. After receiving his PhD from University of California – San Diego, Dr. Kohno embarked on a career recognized with several noted awards including the National Science Foundation CAREER Award and the MIT Technology Innovator Award. The professor is currently working in areas of emerging technology like cloud security and mobile computer security. Detecting and Defending Against Third-party Tracking on the Web is a must-read article by professor Kohno. 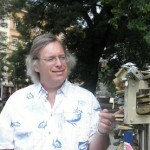 Matthew Bishop – During his time as a professor of Computer science at the University of California at Davis, Matt Bishop has continued to delve deeply into computer security, an area that has interested him since the late 1970’s. The professor has spent years looking specifically at vulnerability, calibrating accurate ways to assess our risk as computer users. Access controls and other specialized studies have guided Dr. Bishop’s career through advanced UNIX security research into his current areas of interest, which include election processes, data sanitization, and other computer security problems. Dr. Bishop’s book, “Computer Security: Art and Science” shares his insights on various computer security topics. David Wagner – Professor Wagner continues to pursue research in computer security while maintaining his faculty position at University of California – Berkley. As a professor of computer science, his research interests focus on large-scale systems and network analysis, including program security analysis and applied cryptology. Current projects include software and smartphone computer security initiatives, and other efforts focused on emerging technology. 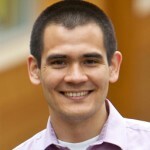 David Wagner also participates in the University’s Security Research Group. 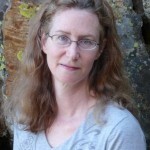 Marianne Winslett – Having served in various capacities on the faculty of the University of Illinois Urbana Campus, Dr. Winslett now works as a research professor in the University’s Department of Computer Science. She earned her PhD in Computer Science from Stanford University, before working at Bell Labs. She brought her interest in information security and data management to the University of Illinois in the late 1980’s and has made significant contributions to the field during her time there. She has served on countless editorial boards and received recognition for her research, earning best paper awards on multiple occasions. Greg White – Gregory White has carried enthusiasm for security education and research throughout an impressive career centered in the San Antonio area. During a thirty-year career with the United States Air Force, on active duty and in the reserves, Dr. White joined the faculty at the University of Texas at San Antonio, where he entered the school’s Information Systems program. Early in his career at the school, he helped establish the UTSA Cyber-Security Research Center, which has celebrated a ten year anniversary to-date. The Center sponsors one of the most widely recognized cyber-security competitions for college students, designed to spark innovation and collaboration among the brightest thinkers in the computer security field. Dana Dachman-Soled – Dr. Dachman-Soled is a relatively new member of the faculty within the A. James Clark School of Engineering – Department of Electrical and Computer Engineering at the University of Maryland. She brings her PhD from Columbia University to the classrooms and research facilities in Maryland, to continue pressing the envelope within the computer security field. After receiving a presidential scholarship for her studies at Columbia, Dr. Dachman-Soled continued-on with a fellowship opportunity at Microsoft Research. Her interests and areas of instruction relate to cryptographic security and other computer science disciplines. Gerry Santoro – Students enrolled at Penn State College of Information Sciences and Technology benefit from Dr. Santoros experience with computer security, but so do others. Dr. Santoro maintains a page of information helping computer users remain problem-free. 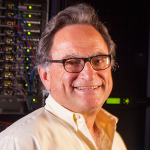 Dr. Santoro has an extensive hands-on history providing security and advice for computers systems, and his courses focus on these areas. Risk analysis and cyber-forensics are also part of the academic major that Dr. Santoro works closely with. He also holds editorial credentials with noted online journals, and has been recognized with numerous awards. Nicolas Christin – Dr. Christen acts as an assistant research professor in the Department of Electrical and Computer Engineering and Cylab at Carnegie Mellon University. He also serves as faculty advisor to several Master’s Degree Programs in computer security fields at the school. His credentials include a PhD from the university of Virginia and extensive service abroad in Japan and other locales. Through his association with Cylab, Carnegie Mellon’s security laboratory, Dr. Christin continues to push the envelope in critical cyber-security thinking. Current projects involve online security and crime modeling. J. Alex Halderman – Assistant professor of computer science and electrical engineering at the University of Michigan, Dr. Halderman sometimes blogs about cyber-security issues at Freedom to Tinker. His main areas of interest lie in computer security and privacy, particularly in software security, network security, data protection and emerging science like computer forensics. 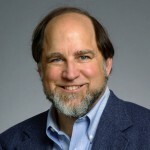 Dr. Halderman earned his Computer science PhD from Princeton University in 2009, and continues to work on projects related to hacking, encryption, and other security issues. His research on widespread weak keys in network devices earned him a best paper recognition from his peers. Miron Livny – Working as a research professor at the University of Wisconsin, in Madison, has opened interesting doors for professor Livny, who has been able to work on Department of Homeland Security projects requiring his particular expertise. One current project works to increase the level of security on software used to control the internet and the cyber infrastructure. Livny is Director of Core Computational Technology at the Morgridge Institute for research in addition to his service at the Wisconsin Institute for Discovery. Susanne Wetzel – Educated in Germany, this professor brings private sector experience with Daimler Chrysler, Lucent Technologies, and RSA Laboratories to her computer security resume. Her areas of research interest include cryptography and algorithmic theory. Her work is conducted as an associate professor at the Stevens Institute of Technology, in the Computer Science Department. Her publications include books, journals and countless papers presented in academic settings. Other professional activities include work on anti-phishing research and collaboration with other computer security professionals. 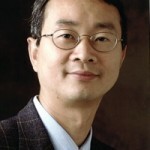 Homggang Zhang – As an associate professor at Fordham University, Dr. Zhang works in the Department of Computer and Information Science. While the scope of the internet and world reliance on computers grows, data management and computer security are areas that continue to require innovative solutions – Dr. Zhang helps provide them. As well as managing the large volumes of data that computer dependence generates, modern computer security professionals are tasked with keeping it private and secure. Social networking and mobile computing are specialized areas drawing attention, because they represent the next wave of technology requiring security. Dr. Zhang and other forward-thinking professionals attempt to look into the future to forecast the types of problems that might arise with data sharing practices later on, even as they address problems popping up today. Eugene Spafford – Purdue University is home to Dr. Spafford, who teaches several classes within the Department of Computer Science. His areas of specialization include social impacts of computing, including emerging mobile and cloud technologies that constantly create the need for enhanced security. Ethics, cybercrime and general internet security are the bread and butter for Dr. Spafford, leading to accolades from his peers and teaching honors from Purdue. Dr. Spafford also runs the University’s Center for Education and Research in Information Assurance and Security (CERIAS), which leads research in the field of internet and computer security. Dr. Stafford made headlines for suggesting users will defect from the World Wide Web due to the inherent dangers it poses to their personal security. Weliang (Kevin) Du – Professor Du understands the implications of computer security for mobile devices and other emerging technologies, so he has dedicated his research to these areas. Dr. Du is a professor in the Department of Engineering and Computer Science at Syracuse University, where he and his research team tackle system security problems and innovate in the area of smartphone system security. His PhD is from Purdue University, and he currently holds prestigious positions on panels and committees serving the computer security industry. Mustaque Ahamad – Securing the internet and computer applications for the future is a passion shared by many computer security professionals, including Dr. Ahamad. In the College of Computing at The Georgia Institute of Technology he works with colleagues to secure future applications, while at the same time innovating secure storage services for personal information. Dr. Ahamad earned his PhD at the State University of New York. He has worked with dozens of successful computer security specialists as a mentor and collaborator. James Burkman – Oklahoma State professor Dr. Jim Burkman works in areas concerned with the ongoing security of computers and networks. At the Spears School of Business at OSU Dr. Burkman pushes forward research programs for application security. He has published several journal articles on the subject, and continues to push for solutions for today’s, and tomorrow’s problems. After earning his PhD from Indiana University, Dr. Burkman began teaching and conducting research in information security. Matt Green – Professor Green teaches courses at Johns Hopkins University that are related to the work he does with his research. Dr. Green’s areas of specialization include developing techniques for effectively storing information with high levels of privacy assurance built-in. He is an assistant professor at the Johns Hopkins Information Security Institute, where he also works in the fields of bilinear cryptography and cryptographic information. Specifically, his research uncovers ways to keep databases secure and to allow people access, without compromising their own privacy as they use the resources. His blog talks about developments in the field. 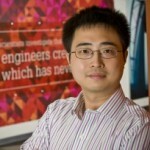 Yi Mu – Dr. Mu specializes in cryptography and related disciplines, including computer and network security. Professor Mu is faculty at the University of Wollongong, where he plays important roles on committees within the School of Computer Science and Electrical Engineering. He has published more than two-hundred fifty scholarly papers. He serves as the head of his school and is also the editor of the International Journal of Applied Cryptography. His academic credentials include a PhD from the Australian National University. Jed Crandall – Dr. Crandall and his team of researchers share the belief that internet activities should be more transparent when they involve censorship and controlling information. He works as an associate professor at the University of New Mexico, guiding research in forward thinking areas that govern internet security and privacy of information. Dr. Crandall earned his PhD from the University of California at Davis, before entering into research partnerships with prestigious funding entities. Dorothy Denning – Dr. Denning has led a productive career in computer science, dating back to her early innovations at Purdue University in the 1970’s. She taught there for years, as well as serving on the faculty at Georgetown University. She is the inaugural member of the Cyber Security Hall of Fame, illustrating the important role her body of work has played in the computer science field for decades. In addition to her service at Purdue and Georgetown, Dr. Denning worked in the private sector for nearly ten years, helping secure computer systems for corporations. She has written four books and over 100 scholarly articles, which have been published in industry journals. She teaches now at the Naval Postgraduate School, enlightening students with classes like Computer Network Attack and Defense. Chris Kanich – Dr. Kanich studies an area that receives less attention among academics than some other areas of information security – the financial gains made by attackers. Analyzing the profits and economic motivation behind hacking and cyber attacks helps illuminate solutions to the growing internet concern. 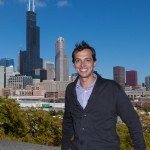 Dr. Kanich works as an associate professor at University of Illinois – Chicago, where he leads a small research team in the Department of Computer Science. He has participated in several influential committees and has found his ideas featured in mainstream publications like The Economist, The New York Times, and Wired magazine. Human factors influence computer security is an adjunct area of research for Dr. Kanich. Kevin Butler – Computer security concerns drive Dr. Kevin Butler’s research, particularly in the areas of information storage, large-scale systems security and network privacy. He is an assistant professor in the Department of Computer and Information Science at the University of Oregon, where he recently landed an award from the NSF to fund his research projects. The NSF Secure and Trustworthy Cyber Security CAREER Award brings valuable resources to Dr. Butler’s research relating to secure retention and management of sensitive information. Dr. Butler earned his PhD at Pennsylvania State University. Paul Dourish – Dr. Dourish is a professor at the University of California Irvine. His work at the school’s Donald Bren School of Computer and Information Sciences focuses on security issues for computer systems. Mobile computing is a particular area of interest, as well as the social components associated with human computing behavior. Professor Dourish serves on industry councils and advisory boards, providing cutting edge research results for better computer security. Dr. Dourish and his research team work closely with social scientists to dissect the interactions between humans and computers, looking for insight into the behaviors behind our work with machines. Ravi Sandhu – Computer security and privacy are areas that have undergone drastic transformations in the ways they are viewed. 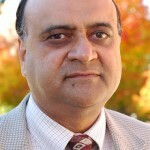 Dr. Sandhu has been a first-hand participant in the development of effective strategies for responding to emerging computer threats. His prestigious career in computer security includes over 250 published articles, written with over 100 collaborators. Dr. Sandhu is the Executive Director and Chief Scientist at University of Texas – San Antonio, where he has been employed since 2007. Previous faculty positions were held by Dr. Sandhu at Ohio State University and George Mason University. He is also active at the Institute for Cyber Security. Jonathan Zittrain – Cyber security issues are muddled among those of law, so professionals understanding both aspects of the equation bring unique insight to the table. Professor Zittrain teaches in both schools at Harvard University, sharing computer security coursework in the School of Engineering and Applied Sciences. He is a founder of Berkman Center for internet and Society and is on the board of advisors for Scientific American. Special areas of interest include governance of new and emerging technologies and other internet policy issues. Samuel Carter – Mr. Carter serves as adjunct faculty at NC State University in the Computer Science Department, specializing in issues related to computer and cyber security. Cryptography and authorization and authentication processes are within Mr. Carter’s areas of research, as well as network security administration and other systems administration issues. Mr. Carter currently serves as an advisor for the National Collegiate cyber Defense Competition where standout students compete with theories to head-off the next major cyber security issues. 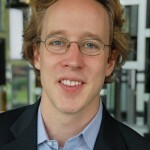 J C Birget – Computer security and cryptography are essential areas of study for Dr. Birget, who earned his PhD from the University of California at Berkeley. As a professor at Rutgers University – Camden, Dr. Birget draws on international training and theory to dissect advanced algorithms. Dozens of journal publications and conference articles support Dr. Birget’s educational credentials, including editing books and collaborating with other researchers in the discipline. 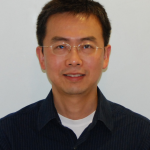 Junjie Zhang – Associate professor Zhang was tapped last year to head the Master’s in cyber security program at Wright State University. The Department of Computer Science sponsored the initiative to keep pace with the ever-increasing threats to computer security and to facilitate advanced training for the people in the Wright State region. The Dayton region requires high numbers of computer security personnel, due to the concentration of national security missions in the area. Greg Conti – Colonel Gregory Conti is an educator and the director of the Information Technology Operations Center. 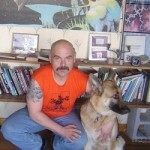 He has written multiple books and countless magazine and journal entries. In addition to those publications, Professor Conti is responsible for dozens of conference papers and collaborations with other computer security professionals. In addition to his service as WestPoint faculty, he is an adjunct professor at the National Cryptologic School and has been recognized for his contributions to the field of computer security. Of particular interest to Colonel Conti are online privacy issues, creating secure interfaces, and principles of cyber warfare. 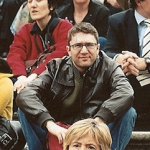 Engin Kirda – Professor Kirda is an associate professor for information assurance at Northeastern University. He works in the Department of Electrical and Computer Engineering in the College of Information Science. Dr. Kirda is concerned with academic areas relating to network and systems security, particularly web security and malware analysis. He also serves as Director of the University’s Information Assurance Institute. He is one of the founders of the international Secure Systems Lab, a network of professional collaborators that work together to address cyber security concerns. In addition to publishing dozens of scholarly articles, Dr. Kirda is co-founder of a private venture that helps create secure systems for hire. He sits on influential committees and chairs respected programs as well. Earl Fife – Dr., Fife is a faculty member at Calvin College, where he teaches computer science. He earned a PhD from Wesleyan University in 1977, after acquiring his Master’s at the University of North Carolina – Greensboro. In addition to the formal educational credentials, Dr. Fife maintains a long list of certifications endorsing him as a professional forensic computer examiner, and systems security expert. Dr. Fife also holds memberships in industry organizations like the International Society of Forensic Computer Examiners, International Associations of Computer Investigative Specialists, and Michigan Section of the Mathematics Association of America. Professor Fife is one of the co-founders of The Mathematics Archives. Brad Hopper is a student of politics - past and present. Looking at historical figures and their roles in government helps guide our understanding of public service, so we strive to learn lessons from past leaders. Political scientists, like Hopper, contribute to the continuum of effective government by studying today's public policy, always giving a nod to political role-players found throughout history.